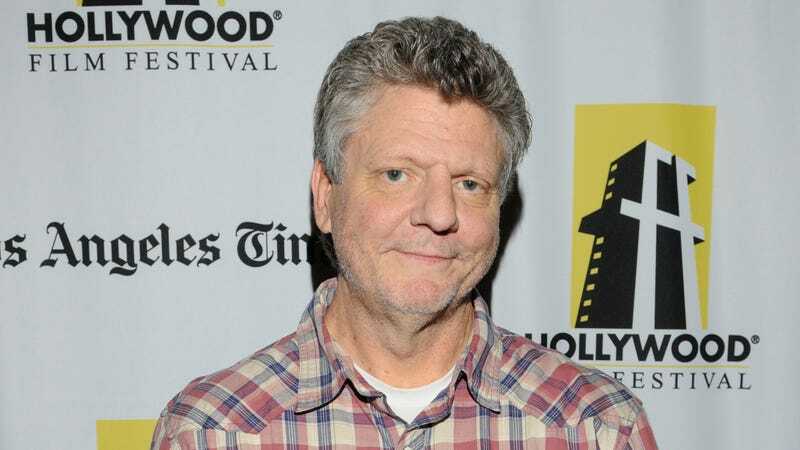 As reported by Variety, character actor Brent Briscoe died on Wednesday after a a “serious fall” that gave him internal bleeding and heart complications. Briscoe was 56. Born in Missouri in 1961, Briscoe started his acting career in the theater and appeared in a few TV shows in the early ‘90s like Knots Landing and Evening Shade. After working with Billy Bob Thornton on Sling Blade, though, he moved to Los Angeles and began seriously pursuing screenwriting and feature film acting. He appeared in David Lynch’s Mulholland Dive as Detective Domgaard, and he later reunited with Lynch to play another cop on Showtime’s Twin Peaks revival earlier this year. In a statement, Lynch said that he loved Briscoe “as an actor and a great person,” adding that he “will really miss working” with him. Briscoe also appeared in The Green Mile, Driven, The Majestic, National Treasure: Book Of Secrets, Yes Man, and as a nameless veteran cop in The Dark Knight Rises who still recognizes the value of Batman. He also had a number of TV roles in recent years, appearing in Desperate Housewives, Grey’s Anatomy, NCIS: Los Angeles, Brooklyn Nine-Nine, and Justified. One of his more memorable TV roles was as JJ, the diner owner on Parks And Recreation who appeared a handful of times to give Amy Poehler’s Leslie Knope the one thing she always needed: waffles.